Central Theme: The Bibles changes lives. There are many ways that we can learn about the Bible. 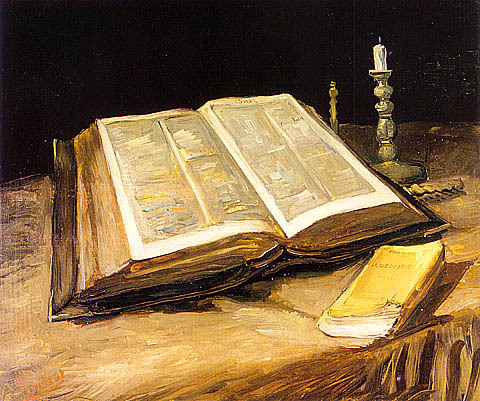 Introduction–I have a friend, named Margaret, who wanted to read the Bible. She prayed and prayed. Finally, the program she attending decided to teach her to read. She was able to do read the Bible! She now reads the Bible any many other things. My dad did not learn to read for many years. Like Margaret, that did not stop him. He started listening to the Bible on tape. Then he started reading the Bible along with listening to the tape. Soon he could read better. He became a very good reader. The important thing is to learn the Bible. It will change your life. Have a member read Psalm 119:1. I. Tell the story of Philip and the Eunich. A. A Eunich has a disability; he could not have children. B. The Eunich learned about Jesus from the Bible. II. Learning God‘s word is important and helps us to know that we are doing things that are bad. A. It helps us to know how to live right-. B. It helps us to learn how to get along with others. III. There are many ways to learn God‘s word. 1. Tim never did learn how to read but that did not stop him from learning the Bible. 2. He always came to church. 3. He memorized Bible verses. 4. He listened to tapes to be able to hear God‘s word. Conclusion: God wants us to learn his Word. It will change our lives.